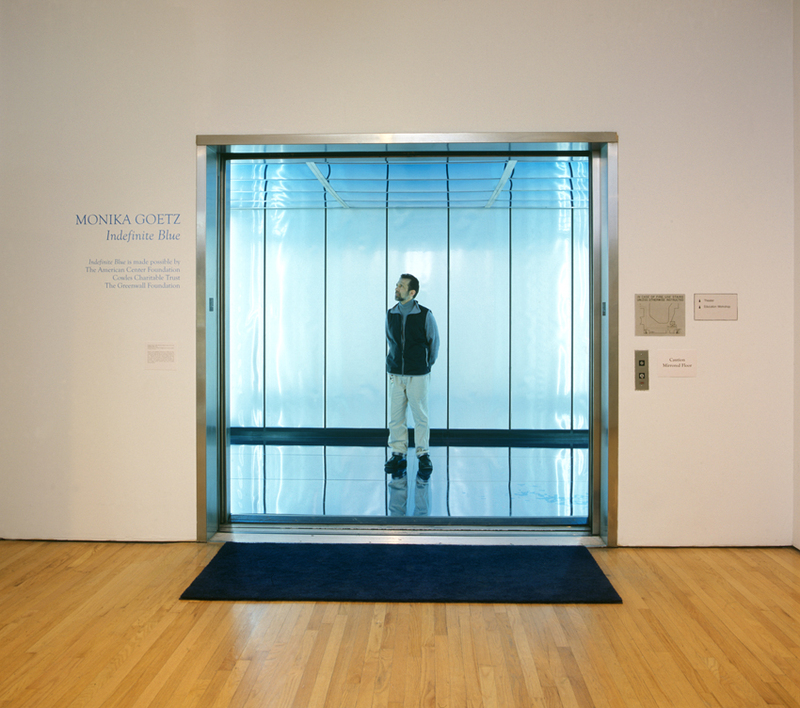 Known for her spatialized experiments in light and color, German–born artist Monika Goetz creates a momentary site of dislocation within the elevator of the Queens Museum of Art. Stepping into the blue expanse of light, passengers sense a fall into open water, or impossibly, the sky. For forty eight seconds, viewers hover between knowledge and perception. An ordinarily mundane ride is transformed into a voyage towards uncertain place and of possibly infinite duration.